Every digital device will face the battery issue, days ago I met a serious battery issue on my Kindle Paperwhite, which I didn’t use it for months. This Kindle Paperwhite’s battery doesn’t hold for 3 days, even if I turn on the airplane mode, totally turn down the backlight. I tried every trick I learned in past years to save my battery life, but all going to fail. Therefore, I guessed that my battery is literally dead. I can only replace the battery as I didn’t want to buy a new Kindle. I did a lot of research to figure out how to replace a Kindle eReader’s battery, then I write this post to share the experience with you. No matter you are using Kindle eReaders like Kindle Paperwhite, Kindle Voyage, Kindle Oasis, or tablet like Amazon Fire HD 8/10, you can get helpful information from this post anyway. At first, you should watch the video about how to replace a Kindle’s battery. Here is one. Also, you will need to buy a replacement battery for your device. There are all kinds of replacement batteries for Kindle eReaders and tablets on Newegg.com. If you don’t want to replace the Kindle yourself, you can have someone replace the battery for you. 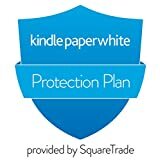 There are several services out there which you can mail your Kindle to them and pay for the battery replacement job. 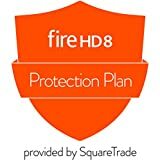 All Kindle E-Reader and Fire tablet have one-year warranty, if your Kindle is bought in one year, you can contact Amazon’s customer support for help. If your battery indeed has a problem, they will replace it for you without any charge. 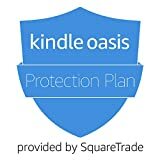 FYI, you can also buy an extended warranty for Kindle Paperwhite/Oasis and Fire HD 8.